Last night, Alex and I went to his parents’ house for Passover. The food was great (his Mum can definitely cook! ), I especially loved the lamb. We had a good time, but I was very tired by the time we got back to Toronto. We also signed the lease on our new apartment yesterday and we’re both super-excited to move in; I think it will be great. Our apartment is in an old mansion called Chadwick House and I may just have to refer to it as Chadwick House from now on (in lieu of “our apartment”) or maybe I’ll give it a nickname like Chaddy or Wickie. I just love the thought of living in a house that has a name (that may be a little L.M. Montgomery nostalgia). Tonight we are going out for Lesley's birthday. 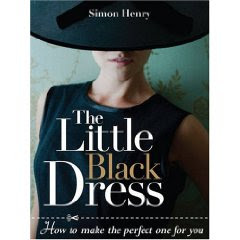 I bought her a book called The Little Black Dress: How to Make the Perfect One for You by Simon Henry. She's just started taking a sewing class and I wanted to get her a book that would be a source of inspiration. I also made her a little stuffed chick in honour of her birthday being so close to Easter and will be making her a card tonight. I'm also making my Mum a couple of chicks for Easter and hopefully when they're all done I'll be able post a picture of the happy chick family. I got the free pattern from Jojoebi Designs and am planning on enlarging it for at least one of them. I stumbled across a very cool blog on Tuesday via Living Locurto; it's called Just Something I Made and it's written by a lady named Cathe Holden. I'm really enjoying her blog so far; she talks quite a bit about crafting in a fun way and is really great at explaining things in her tutorials. 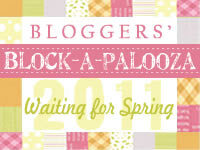 One of the things that I really enjoy is her page of free blog gadgets. Three of the gadgets I have on my page were made by her (she's also a graphic designer); those would be the email gadget, the Twitter gadget, and the older posts gadget at the bottom of the page. She has a lot of them in a ton of different styles, and I had a ton of fun deciding which ones to use. I especially love the little email one because it looks like stitching. 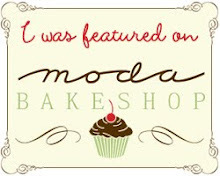 You should definitely go and check her out, even if you don't need blog gadgets; just go and read her great blog!